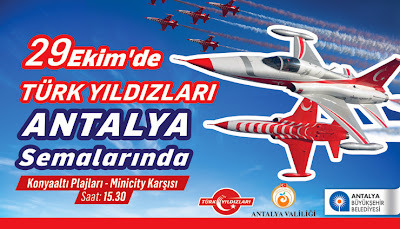 You can watch this beautiful shows of the Turkish Stars Air Force Aerobatic Team from Konyaalti Beachpark - across the Minicity on 29 October 2013 at 15:30. 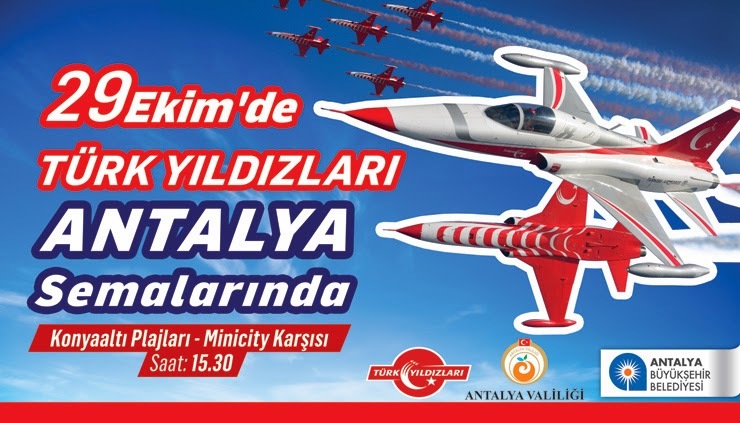 Hundreds of thousands celebrating the Republic Day in Antalya. 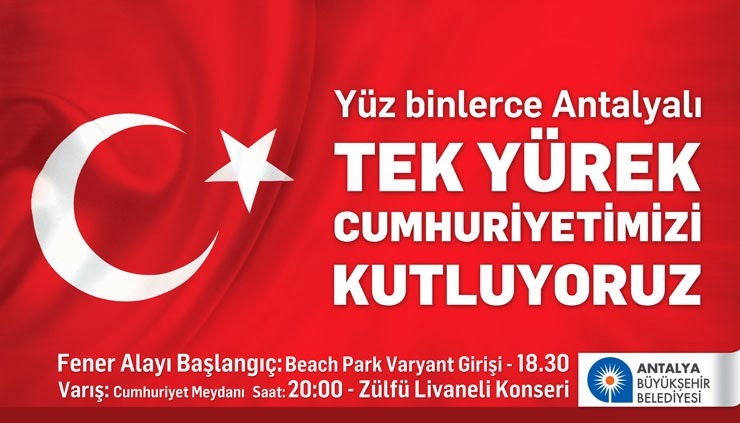 Lantern processions beginning at 18:30 from Beachpark Variant. 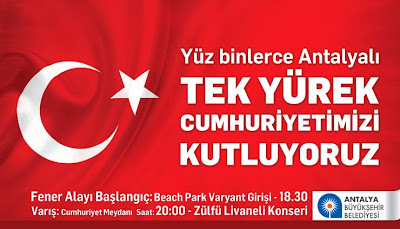 Arrival: Republic Square at 20:00. 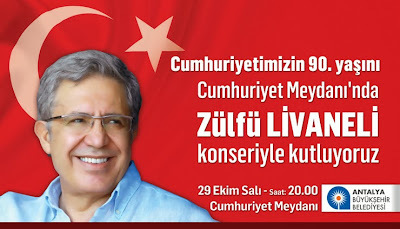 Wonderful concert for the 90th Anniversary of Turkish Republic by Zülfü Livaneli on the Republic Square at 20:00.